From its humble beginnings two years ago, 11street has since emerged as Malaysia’s number two online marketplace, and helped over 15,000 sellers through its seller development programs and 11street Academy – the nation’s first certified e-commerce certification programme. At its annual Sellers Award ceremony, 11street also revealed that it has a total seller base of over 42,000 and intended to grow this number by at least 10% to 50,000 in 2018. Bruce Lim, Vice President of Merchandising of 11street said: “When we first launched 11street in Malaysia, our vision was to help sellers reach their full potentials. This very vision motivated the kickstart of our 11street Academy and Seller Zone programmes. While the former is a full-fledged certification programme endorsed by the Malaysia Digital Economy Corporation, the latter is an education centre and support facility for e-entrepreneurs. Among the notable local businesses that have benefitted from 11street Academy are atoz2u, an online office stationery supplier; Genesis Online, an Ipoh-based e-commerce company with its own distribution warehouses in China and the United Kingdom; Milando, a fashion and sports distributor; and XIXILI, a homegrown intimate wear brand for women. On average, 11street’s sellers have witnessed an increase of sales revenue by 15% to 20% within six months of completing the course. At the ceremony, 11street awarded the Outstanding Performance Award 2017 to nine sellers: Abbott Malaysia; Desa Home; F&N Beverages Marketing Sdn. Bhd. ; Navitech; Photobook Worldwide Sdn. Bhd. ; Terra; Thermos Malaysia; Vincci; and XIXILI. 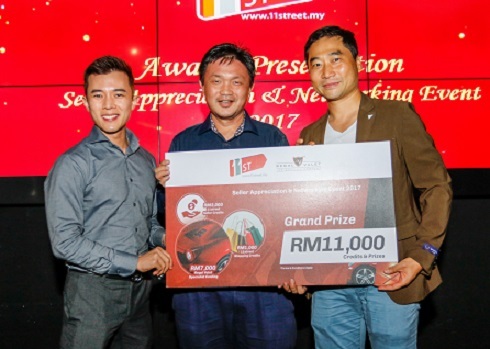 11street also recognised five Malaysian brands with the Rising Star Award 2017: Big Care Mart; Blue Mango; Skechers; TechAway and TK Bakery. Each of these winners were evaluated based on their respective business performance, promotional efforts and customer service and post-sale support. 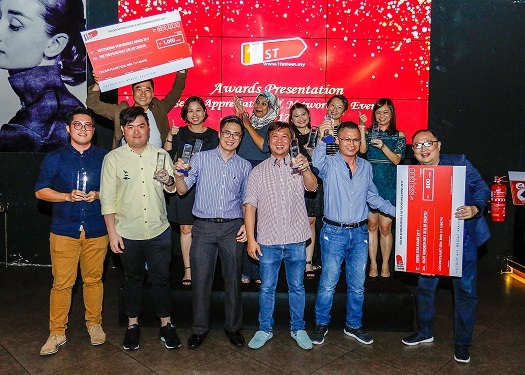 Given the rapid growth of e-commerce in Malaysia, 11street has set it sight to roll out special programmes and initiatives for new sellers, to help them gain substantial visibility on its platform and drive steady sales revenue. “We would not have achieved the positive results we have today without the many partnerships we have established with our sellers. This is why it is on our pipeline to revamp, add new features and improve our seller system user interface, to give them better overview of their performance on 11street. We also plan to enhance our tutorial videos to help sellers better leverage our platform for their benefit, and because this is a partnership, we are strategising exciting campaigns each month that enable us to feature new sellers to our shoppers.” concluded Lim. Other than developing its Seller Zone programme, 11street will continue its effort through 11street Academy by introducing newer programmes that adhere to the evolution of e-commerce in the country.